June is National Flag Month! 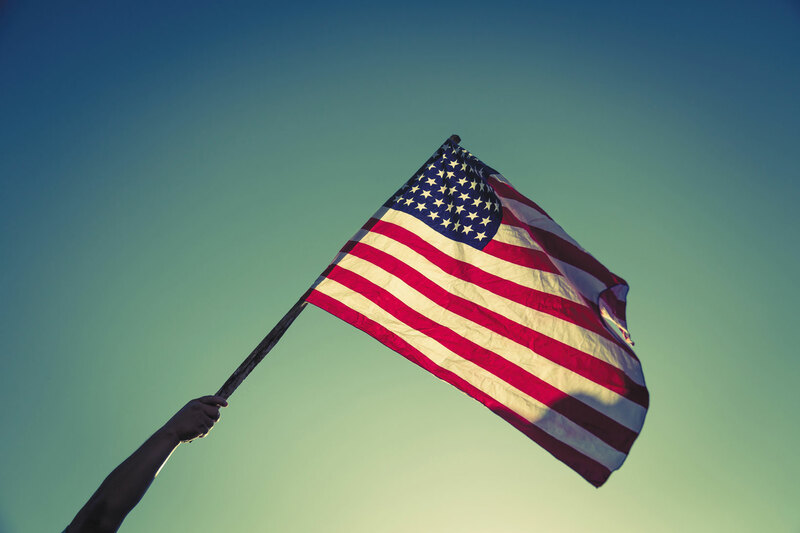 June is National Flag Month – Sandwiched between Memorial Day and the 4th of July holiday, is a full month celebrating our American flag and June 14th is officially Flag Day! We here at The Storage Inn in Egg Harbor Township NJ fully embracing the red, white and blue! 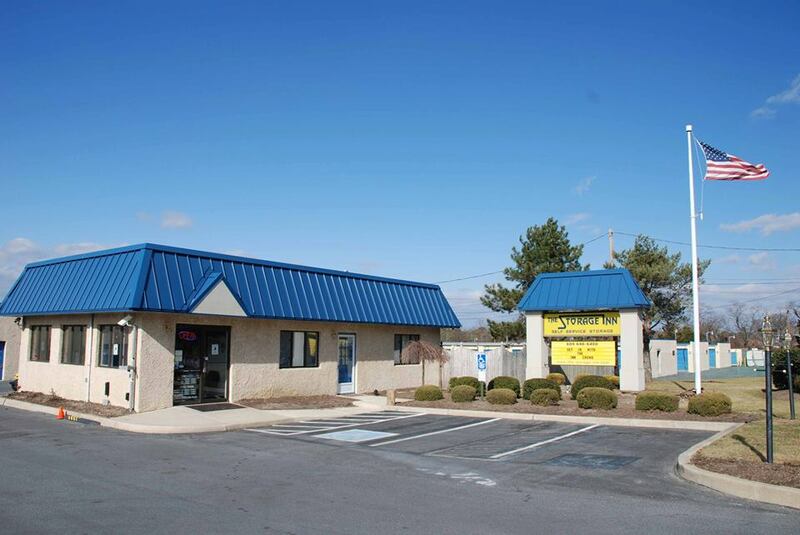 We proudly fly The Stars and Stripes over our rental office, employ numerous veterans, and offer storage space discounts to our men and women in uniform. In keeping with the spirit of national flag month, The Storage Inn would like to share the rules for the display and handling of the American flag. Traditional guidelines call for displaying the flag in public only from sunrise to sunset, however, the flag may be displayed at night if it’s illuminated.. The flag should not be displayed during rain, snow and wind storms unless it is an all-weather flag. It should be hoisted briskly and lowered ceremoniously. When carried in procession with other flags the U.S. flag should be front and center of the flag line. When displayed on a float in a parade, the flag should be suspended so it falls free. It should not be draped over a vehicle. When displayed with another flag with crossed staffs, the U.S. flag should be on its own right (left to a person facing the wall) and its staff should be in front of the other flag’s staff. In a group of flags, the U.S. flag should be at the center and the highest point. 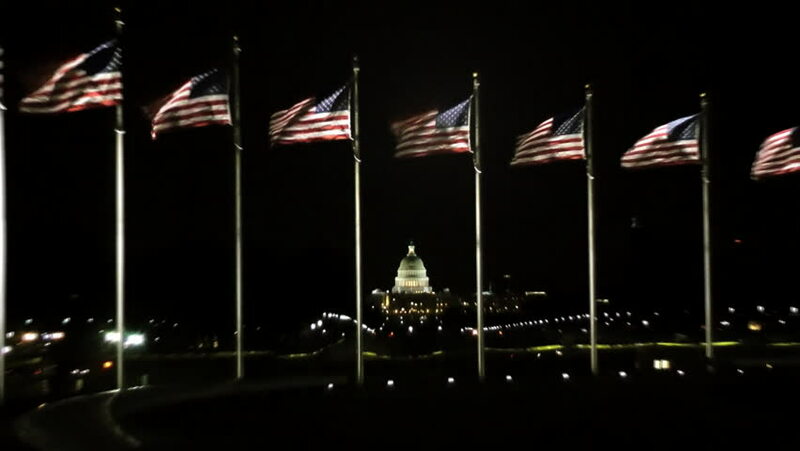 When the U.S. flag is displayed projecting from a building, the union of the flag should be placed at the peak unless the flag is at half-staff. The flag should never be draped or drawn back in folds. Draped red, white and blue bunting should be used for decoration, with the blue at the top and red at the bottom. The flag may be flown at half-staff by order of the president or the governor only. On Memorial Day, the flag should be displayed at half-staff until noon. Let the flag touch anything beneath it: ground, floor, water, etc. Use the flag for advertising or promotion purposes or print it on paper napkins, boxes or anything else intended for temporary use. 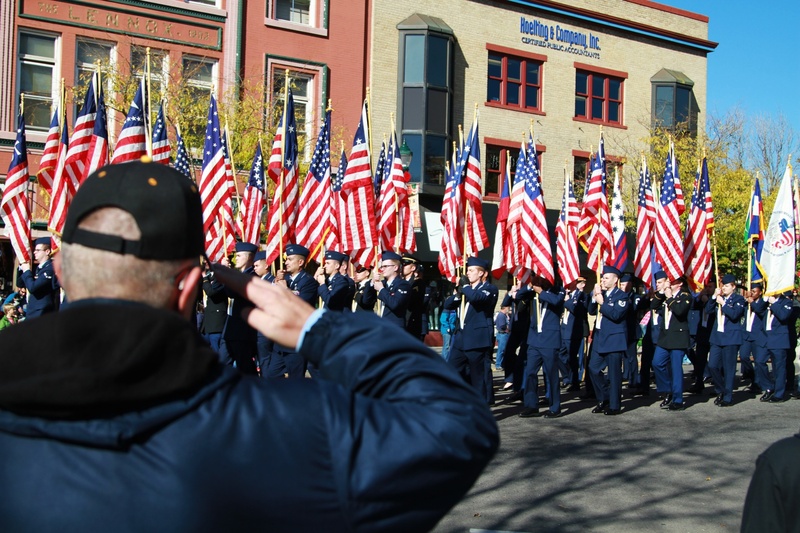 During the hoisting or lowering of the flag or when it passes in parade or review, Americans should stand at attention facing the flag and place their right hand over their heart. Uniformed military members render the military salute. Men not in uniform should remove any headdress and hold it with their right hand at their left shoulder, their hand resting over the heart. Those who are not U.S. citizens should stand at attention. When the flag is worn out or otherwise no longer a fitting emblem for display, it should be destroyed in a dignified way, preferably by burning. So there you have it – A little flag etiquette courtesy of The Storage Inn to help you enjoy all of our patriotic holidays. Have a great Summer and God Bless America!